The number represents a modest decrease from current levels, but an increase over the planned 5,500. Speaking on Wednesday, U.S. President Barack Obama, flanked by U.S. Defense Secretary Ashton Carter and General Joseph Dunford, the chairman of the Joint Chiefs of Staff, said that the United States will increase the number of troops it will leave behind in Afghanistan beyond 2016. 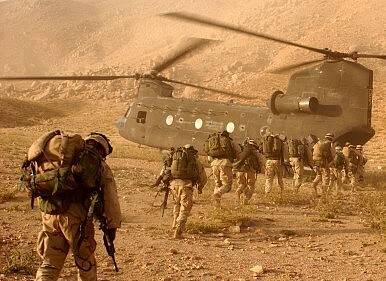 Obama said that the initial target of leaving 5,500 U.S. troops in Afghanistan beyond 2016 had been revised up to 8,400. The updated figure is a modest decrease from current levels, which stand at 9,800. Obama’s announcement comes shortly after a group of U.S. legislators, led by Senator John McCain (R-Ariz.), visited the Afghan headquarters of the NATO Resolute Support headquarters and called for a sustained presence of 9,800 troops. “We believe strongly that we need 9,800 here and further reductions would then cause a replay of the Iraq nightmare that was caused when we totally withdrew from Iraq, which created al-Qaeda, which then created ISIS,” McCain had said, speaking in Kabul. Beyond the rise of the Islamic State group (also known as ISIS), the Afghan Taliban has made steady progress against Afghan forces on the battlefield, benefiting from the sharp decline in the U.S. combat role following the December 2014 drawdown. Last fall, Kunduz became the first major Afghan city to fall temporarily to the Taliban since the U.S. invasion in 2001. Last month, the Obama administration announced some changes to the scope of the U.S. mission in Afghanistan, permitting an expanded role for U.S. air power, for example. The Obama administration’s Wednesday announcement will set expectations for what the next U.S. president will have to reckon with in Afghanistan. Public support for the Afghan war — the longest overseas military engagement in U.S. history — is fast waning and Obama’s successor may be politically motivated to move ahead with a complete withdrawal. The Afghan government has warned that a quick withdrawal of U.S. forces could be highly destabilizing in Afghanistan. Additionally, NATO leaders will meet later this week in Warsaw, Poland, for a summit where they are expected to reiterate the alliance’s commitments in Afghanistan. India's attack helicopter transfer to Afghanistan suggests a new era in ties between New Delhi and Kabul.